Ladies, start growing out your bobs – long hair is hotter than ever and making a serious comeback according to this year’s latest hair trends. The runway shows this year all flaunted fabulous long locks, whether scrunched up, slicked back or flowing freely, the general sentiment was definitely the longer, the better! 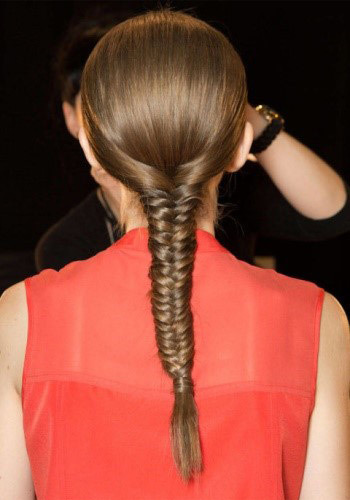 These long, soft cascading waves create a beautiful feminine look and we love how effortless the hair styles are. Their relaxed, free-spirited and natural look is in keeping with the bohemian trend (also known as Boho) that’s really popular this year. We want to keep you up to date with these latest hair trends, so we’re bringing you some of the very best styles. Another fabulous hair trend making a return this year was the long, scraped back pony tail. One would perhaps think a pony tail boring, but this is definitely not the case! This latest hair trend is striking and dramatic and it could be that sophisticated look you’ve been searching for. Braids are also making a serious comeback and we’re so glad! They keep us feeling young and fun by reminding us of our childhood and girly style. We hope these latest hair trends have inspired you and 2015 will be your best hair year yet!